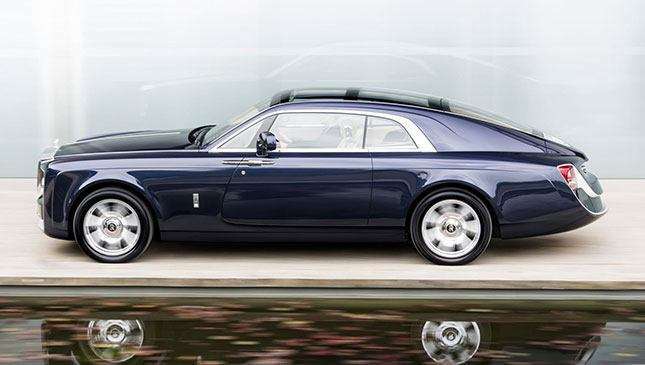 Say hello to the Rolls-Royce Sweptail—a bespoke one-off built for one of Rolls' "most valued customers." 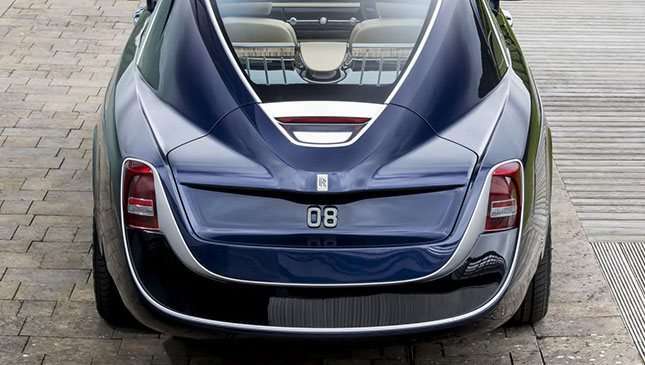 Inspired by the "swept-tail" Rolls-Royces of the '20s and '30s, work began on the Sweptail in 2013, when an unnamed, exceptionally wealthy fellow asked Rolls to build him a "one-off luxury motor car like no other." So it did. And it’s being shown at the Villa d’Este Concorso d’Eleganza this weekend. 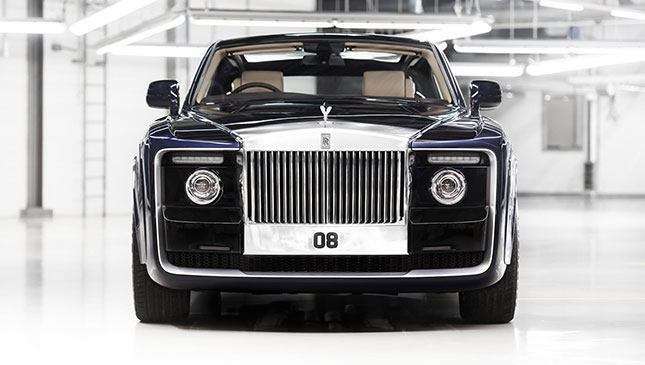 The grille is the largest fitted to any modern-era Rolls Royce. It’s milled from a single piece of aluminum, before being hand-polished to a mirror shine. Further back you’ve the "swept-tail" that gives the car its name, while Rolls says the way the bodywork wraps under the car "with no visible boundary to the surfaces" is "akin to the hull of a yacht." Meanwhile the "bullet-tip" center brake light and lower bumper "combine to create a greater feeling of elegance in motion." Its number plate is 08 (Rolls has given no indication where this car will live, but it’s right-hand drive). Like the grille, the two digits are milled from a block of aluminum and hand-polished. The "highlight" of the exterior though, says Rolls, is the panoramic glass roof. They claim it’s "one of the most complex ever seen on a motor car." It’s certainly among the biggest. Inside it’s predictably opulent, with much wood, leather, metal and a "hat shelf" with an illuminated lip. Though we have no pics, Rolls claims the dash is its cleanest to date, with a clock made from the thinnest Macassar veneer and machined titanium hands. Two panniers, one on either side, conceal bespoke attaché cases (made to fit the owner's laptop/tablet from carbon fiber). The center console also houses a mechanism that serves up a bottle of the owner’s favorite champagne (and rotates it so it’s at the perfect angle to pick up) and two crystal champagnes flutes. 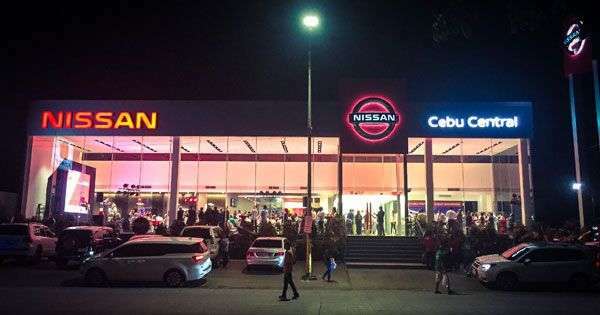 Rolls hasn’t given us any mechanical details—probably because to talk about such things as horsepower, acceleration and kilometers per liter is considered a bit vulgar. 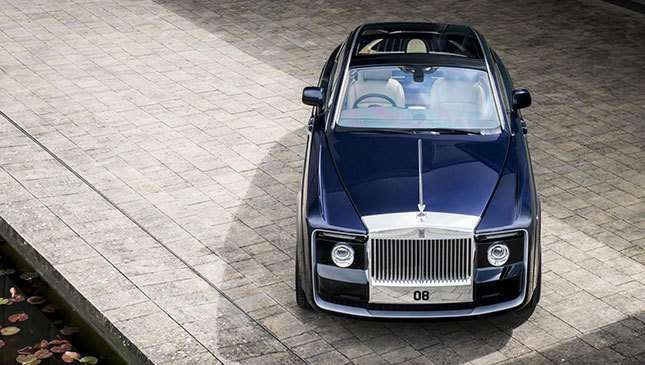 However, we think it’s safe to assume the Sweptail is based on an existing Rolls platform, and that long bonnet contains one of its familiar V12s. How much did our mystery man pay? We haven’t asked, because no way Rolls would tell us. And to talk about such things is not the done thing. But going by the amount of coin you need to buy a 'regular' Rolls, we’re guessing multiple millions. You like?